When Father’s Day was past and Christmas still a long way off*, it made for a season of longueur as far as new golf books went. But we’re nothing if not resourceful here at The Bookshelf. We can, for example, consider books for young readers. And John Feinstein—last reviewed here for his adult book on the 2016 Ryder Cup, The First Major—has provided. 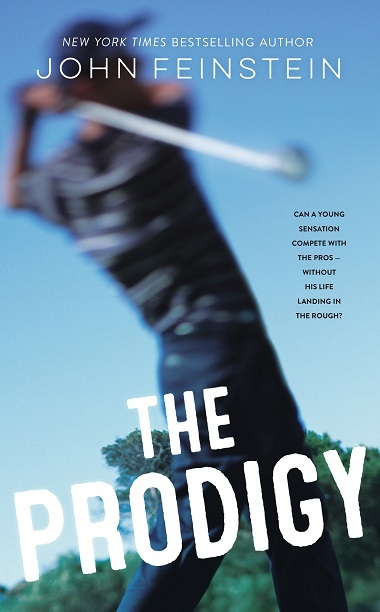 The Prodigy (Farrar Straus Giroux, $17.99) is not Feinstein’s first novel for younger readers, although in a preface he thanks his FSG editor for letting him sidestep football, baseball and basketball to write about a supremely talented young golfer. It was a pretty safe bet. Feinstein knows his way around the world of golf as well as anyone, and he cleverly puts his knowledge on display here, peopling the novel with actual PGA Tour players, golf officials, television commentators and fellow journalists interacting with his fictional characters. Frank Baker is the title prodigy, a seventeen-year-old working toward a second chance at the U.S. Amateur Championship title, which he had almost claimed the previous year. But Frank’s father, Thomas, believes his son already has all the tools to succeed on the Tour, and he has come under the sway of siren songs from agents. Their monied whispers blind Thomas to Frank’s wishes—to score a scholarship and play for a college team, at least for a few years. That’s the basic conflict of the book. Frank and his coach, the local pro, enlist the aid of an old friend of the pro’s—who happens to be a journalist—to help stave off Frank’s dad and the forces of greed. The action roams through the U.S. Amateur Championship and later down Magnolia Lane, where Frank winds up in the last group on Sunday at the Masters. Improbable? Well, it’s a novel, don’t forget. I was a little irritated by what I consider some flaws in the plotting and characterization, given the denouement, and I’ve never accused Feinstein of being a great stylist (I grimly found a misplaced modifier as early as the second page of text). The book could have used some trimming as well (it’s 372 pages long). But I’m not a young reader. Those who are, 11-13 year old or so golf fans, particularly males, should enjoy Frank’s adventures on the fairways. The story has enough momentum to overcome the hurdles, and the wealth of insider looks at the Tour and the cameos of real-life stars add to the allure. I wanted to make sure it was a title I could recommend and I thought I’d be on sure ground with Carl Hiaasen. 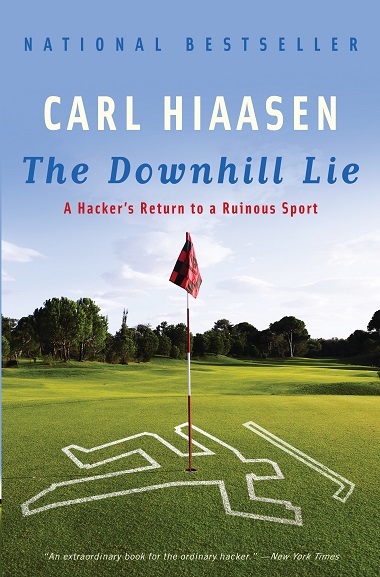 Well enough known as a Miami Herald columnist and author of a series of comic crime novels, Hiaasen turned to nonfiction in The Downhill Lie in 2008 to chronicle his return to golf after an abeyance of 32 years. It’s still in print and in paperback (Vintage, $15.95). Hiaasen was a mediocre player who enjoyed an occasional round with his dad, never shooting better than an 88 before he put the clubs away for their decades-long rest. He picked up fishing poles instead, casting his lines for bonefish. Hiaasen dips his toes gingerly back into the game, but we know how that goes. He fires off enough of those rare sparks of brilliance that he’s sucked in completely. Before long this seemingly intelligent adult has gone down the rabbit hole, buying new clubs, ordering a Q-Link to eliminate stress, downing Mind Drive capsules to improve his focus, reading Rotella, Leadbetter, Penick, Hogan’s five lessons…. None of it much helps and Hiaason even manages to sink a golf cart in a pond in the wobbly course of his misadventures. Therein lies the appeal of the book, at least to any duffer who will all too easily recognize the mental torments Hiaason inflicts upon himself. There are no torments in reading about them, but plenty of laughs. And with a surprisingly poignant ending, I think the book will make most readers feel pretty good, too. 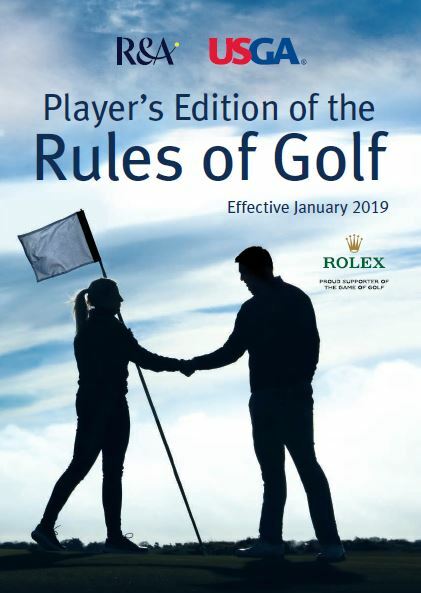 Option three was to start studying the hot new title out from the USGA and the R&A, the Player’s Edition of the Rules of Golf, which introduces the everyday golfer to the new rules which became effective as of January 1. This tiny 168-page book, smaller than some scorecards I’ve seen lately, may not exactly be a page-turner, but it does have some interesting new plot twists. For example, a friend of mine lost a match recently because of a double hit on a bunker shot. This year the old T.C. Chen shot, as it has come to be known, will count as only one stroke (Rule 10.1a). Hey, it was an accident, why penalize a player for the extra hit, which in all probability didn’t improve matters anyway? It was that kind of thinking that went into the new rules changes that the sport’s two governing bodies have been working on since 2012—the hope of making the rules easier to understand while lending to practices that could make the game more appealing to others and also improve pace of play. Whether all that will happen remains to be seen. I’m still struggling to comprehend rules 17-19, about taking penalty relief. 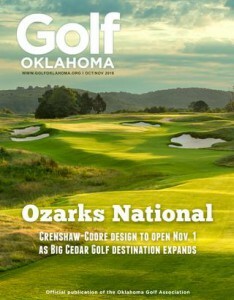 But aside from the double hit change players will now be taking all their relief drops from knee- rather than shoulder-height, flagsticks may remain in the hole even while one is putting on the green, and you can even touch your club to the sand in bunkers—to rest, say—as long as you’re not testing the condition of the sand. The Player’s Edition is not the full set of Rules, but it’s enough to keep most of us going; tournament organizers will want the full set. Both are available digitally from USGA.org/rules, but a copy of the Player’s Edition ready to slip right into your golf bag is now free for the asking from USGA Publications. Might as well ask. 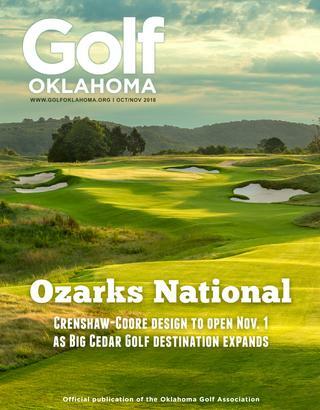 * This piece first appeared in the Oct.-Nov. 2018 issue of Golf Oklahoma in slightly different form.